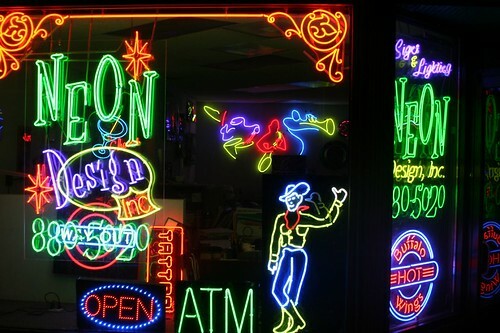 It’s not a sure-fire indicator, but there are very often clues when you’re getting close to a neon sign store. 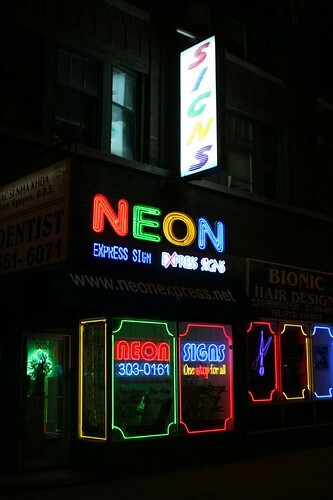 Elaborate and not-especially-necessary neon displays become more common in the storefront windows, the obvious result of good salesmanship from the neighborhood neon shop – in this case, N. Broadway’s Neon Express Signs, in Uptown. 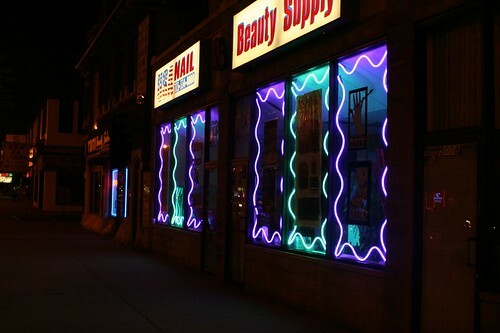 Quite a few of these little stores pepper the north side of Chicago, and the smarter ones use their store as a form of advertising, leaving it brightly illuminated at night. 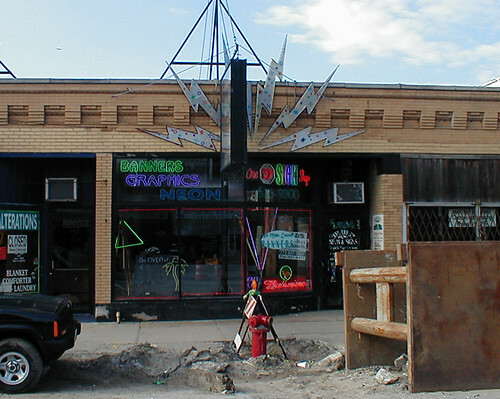 The Independent Neon and Signs neon shop stood on Irving Park, right next to the Brown Line, until its building was demolished fairly recently. They’ve relocated to a new building on the opposite side of the Brown Line, but sadly their replacement digs aren’t as exuberantly marked as the old ones. 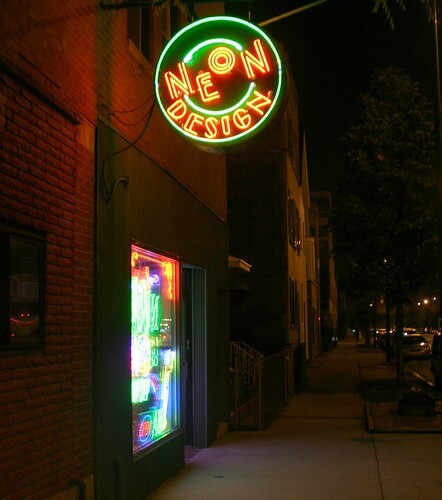 Neon Design, Inc. on Ashland puts on a particularly good show inside. 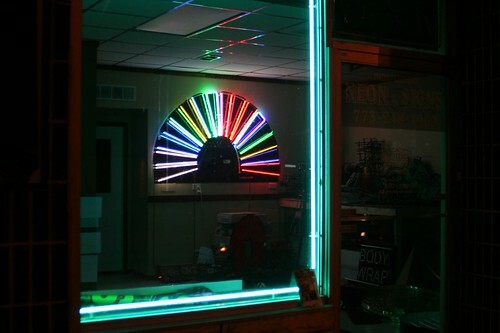 But hands down, the best window display is at The Neon Shop Fishtail on Western Avenue. 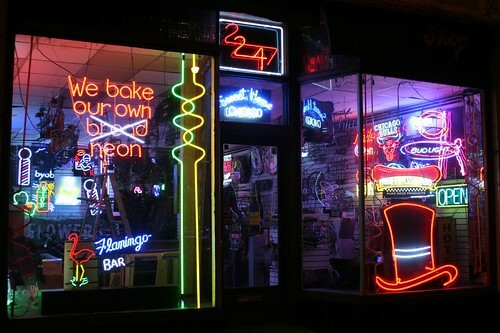 Not only is their sign the best, they also leave the most signs on at night inside the store. 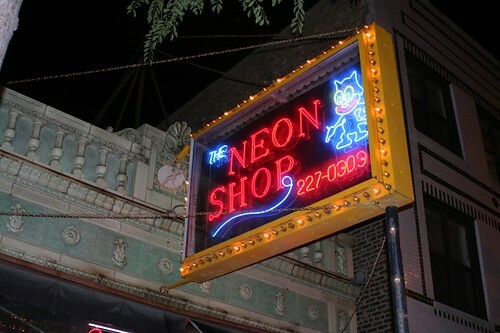 AND they have the most beautiful old storefront, to boot. 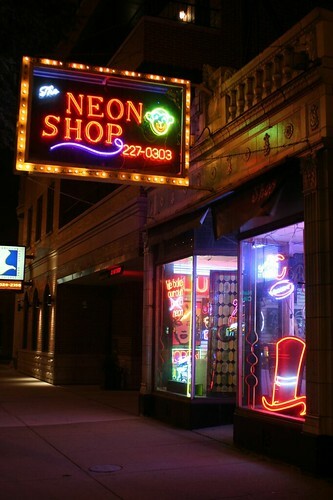 This entry was posted in Neon Signs, Uptown. Bookmark the permalink. 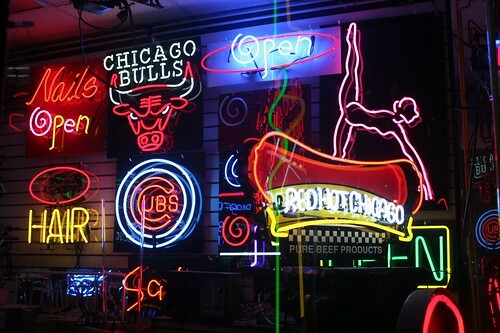 I hate these "modern" neon lights and LED signs. They are just….NOT. THE. SAME.